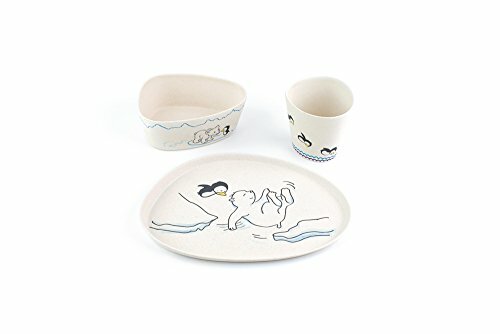 Bringing up your child in an eco-friendly environment is easy with these all natural bamboo fiber kid's dinnerware sets from Peterson Housewares. The designs are happy, friendly and fun, and will keep your child engaged at every meal; ten to choose from. The ergonomic design will help those little hands hold on tight and scoop just right. If you have any questions about this product by Peterson Housewares, contact us by completing and submitting the form below. If you are looking for a specif part number, please include it with your message.